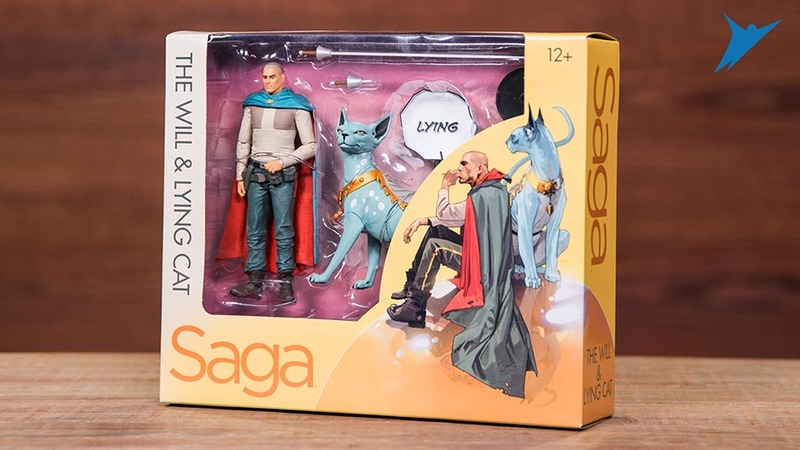 For the second year in a row, Skybound will be releasing an epic San Diego Comic-Con 2017 Exclusive Saga Action Figure 2 Pack based on Brian K. Vaughn and Fiona Staple’s groundbreaking Image comic book series! This year’s exclusive set, produced by McFarlane Toys, includes fan favorite bounty hunters The Will and Lying Cat. This is an absolute must get for The Blot this year, as these are two of my favorite characters in one of my favorite comic books. Each San Diego Comic-Con 2017 Exclusive Saga action figure is produced in 5” scale and comes with character specific accessories and weapons. 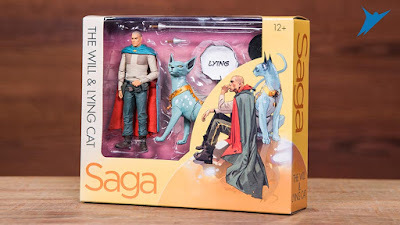 This set even includes a Lying Cat “Lying” speech bubble! Packaged in a full color window box, this exclusive 2 pack will be available for purchase at Skybound’s SDCC booth #2729 for $50. Any remaining stock will then be made available at the Skybound online store after the convention.